Fish are such great pets because they can give a room personality, they are simple to take care of, and can provide you with a different perspective on life. You are certain to enjoy your fish with a classy aquarium to house them. The following aquariums will provide your fish with the room that they need in a clean healthy environment. 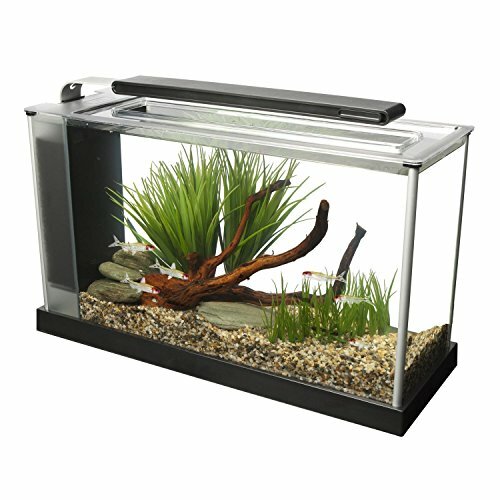 The Fluval Spec V Aquarium Kit, 5-Gallon is a perfect tank to offer your fish and is available in either black or white. With the different color options you will able to pick the color that will highlight your home décor best, yet both colors are neutral and go with most home color schemes. The aquarium is a glass tank that is etched and has a trim made out of aluminum. To highlight your marine and aquatic life, there is a LED system that will light the aquarium with 37 LED lights. There are several features with this aquarium including a foam block. There is carbon that is activated and bio rings that are BioMax. The aquarium is 17.2 x 10.6 x 6.3 inches in size allowing your fish to have plenty of room to swim around. This aquarium will fit perfectly on your countertop or desktop. The aquarium has a system that will filter the water in three different stages in order to provide your fish with clean clear water continuously. 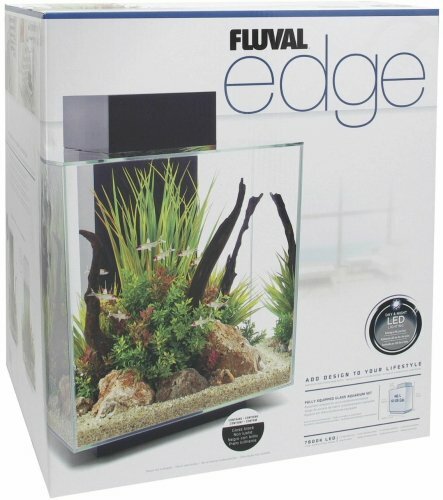 The Fluval Edge Aquarium with LED Light is a great aquarium for your fish to explore their new surroundings. This aquarium is offered in 6 gallons or 12 gallons based on how many fish you have and how much space they may need. You also have three different color options allowing you to find a color that will match your home decor. The Fluval Edge Aquarium with LED Light has six sides and has many features allowing your fish to be more comfortable in their new home. The Cycleguard has an edge filter that will keep the aquarium clean and looking new for long periods of time. The filtering methods and wiring can easily be hidden within the stylish column allowing the aquarium to bring style to a room within your home. The lights are 7600K LED lights and offer different settings. There are also night time lights that are dark blue and position switches so you can control the lighting effects. The Wall Mounted Acrylic Fish Bowl provides a unique accent piece for your walls. Its design will provide a safe home for your fish and a home decorating piece for you to enjoy. By becoming an item on the wall, your fish becomesa part of the room decor. This aquarium is available in ten different color options. They also include various colors of LED lights that can bring style and color into the room in which you want to place your fish. 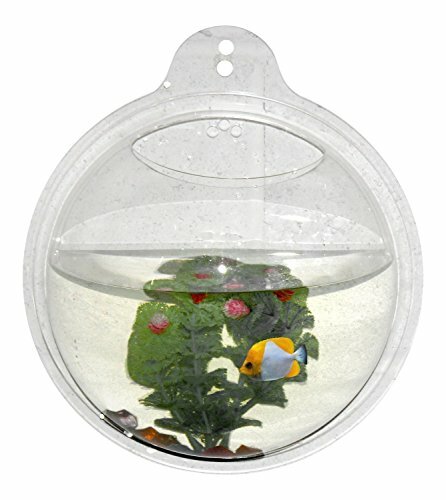 The Wall Mounted Acrylic Fish Bowl is 10 ½ inches in diameter and will hold 1 gallon of water. Even though this aquarium is small it can really enhance the look of a room. The aquarium can be placed on the wall easily and simply hangs like a picture.